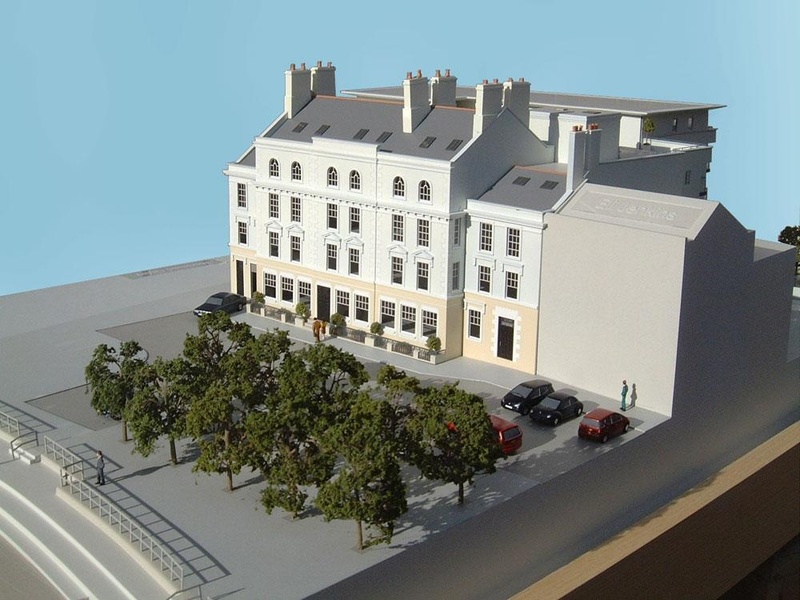 With 10mm representing 1 metre, 1:100 is an ideal scale option for modelling private houses or compact developments comprising one or two buildings. 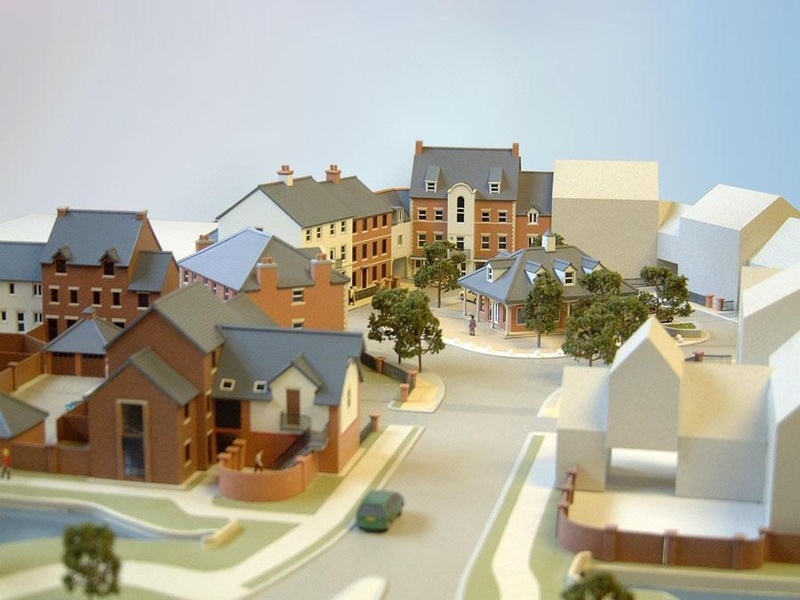 As you can see from the examples below, we can show a high level of detail at this scale so the models can be extremely informative and also very impressive as a focal point in a marketing suite. 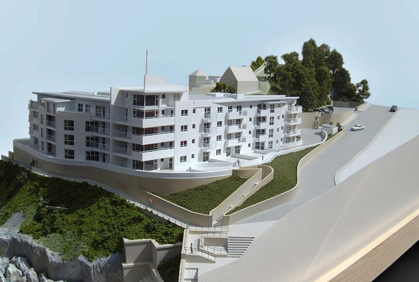 Cannes Private House One of the main requirements of this model is to illustrate how the building design addresses this steeply sloping site, not just externally but also internally. 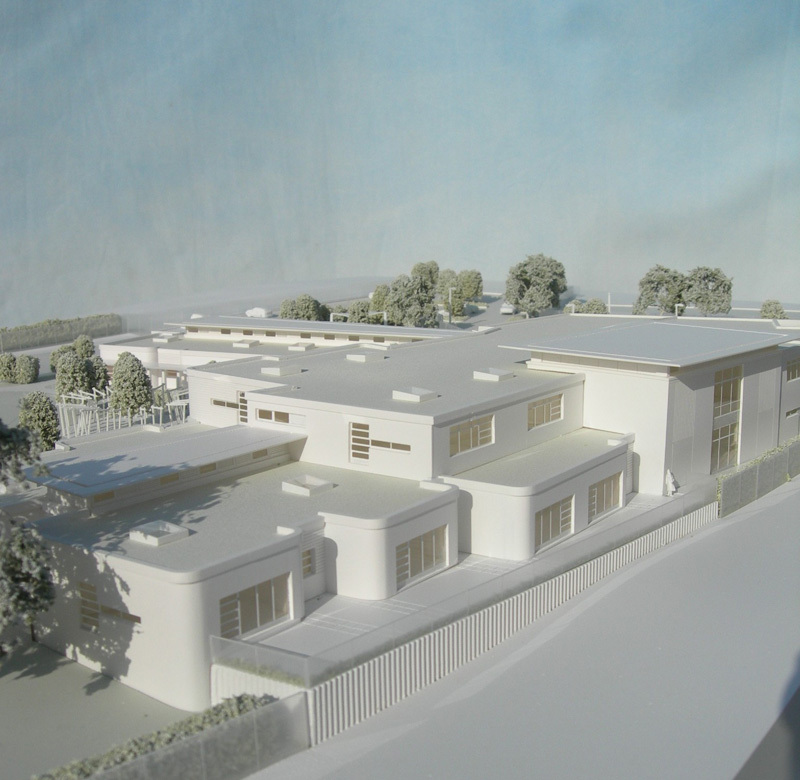 The building actually separates out into three layers to expose the proposed internal room layout. There are two houses on the site, a main house and a guest house and both have lift-off layers to show the internal views. 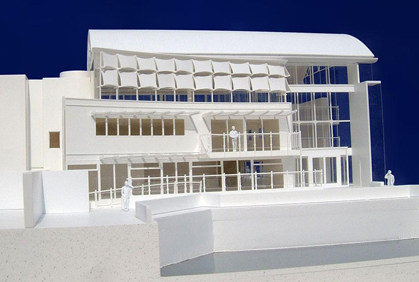 To facilitate transportation, the model is also made in two sections with the join being between the two houses. 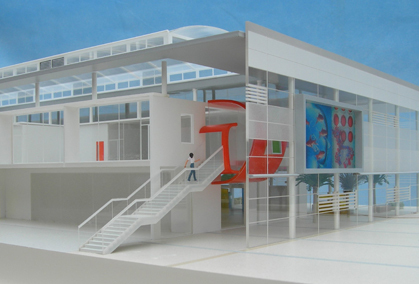 Part Section of School A sectional model designed to demonstrate the double height communal spaces within a proposed new school. 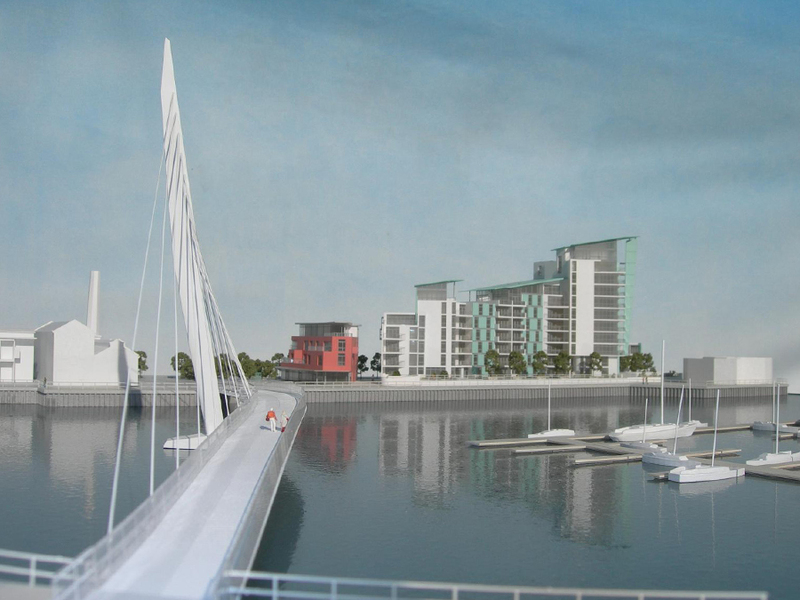 The client also wanted to show the brightly coloured internal design elements as well as the vivid images planned for the external elevations. 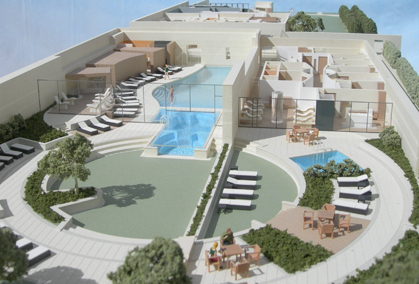 Internal Layout – Luxury health Spa This particular model was a real challenge because of the level of detail required. Its purpose was to show the internal layout and detailed finishes of a luxurious new health spa, including all furniture and fittings, from massage beds and gym equipment right down to floor colours and tile patterns. 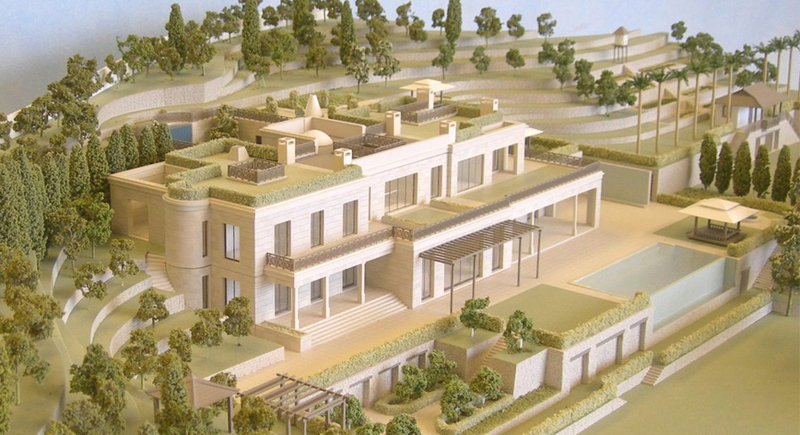 Jersey Private House The developer of this luxury villa felt he needed a realistically detailed marketing model to allow potential buyers to fully appreciate the intricacies and subtleties of the architecture, especially as it was situated on a steeply sloping site. 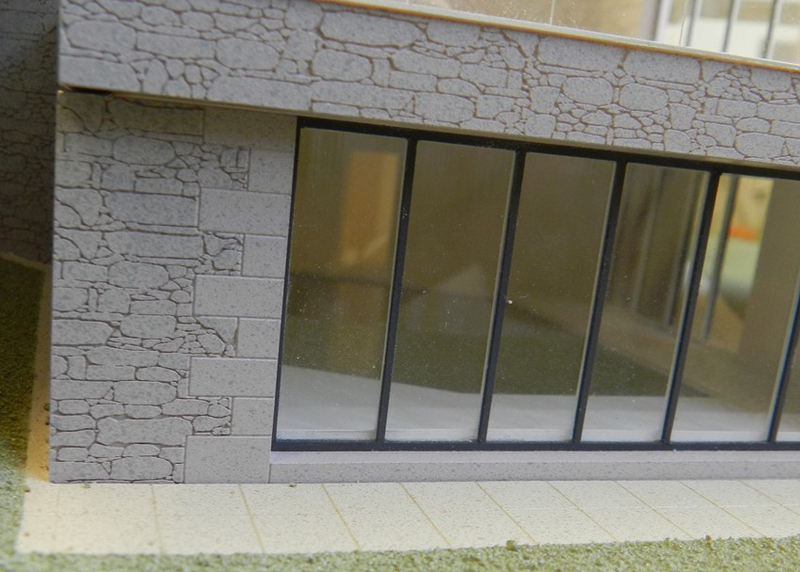 As well as giving it a realistic external appearance we also had to build the model in removable layers so that the split level internal room layout could be demonstrated as well. Although there is no internal colour or detail we did include some simplified furniture and fittings to give the rooms an instant identity and a clear sense of space. 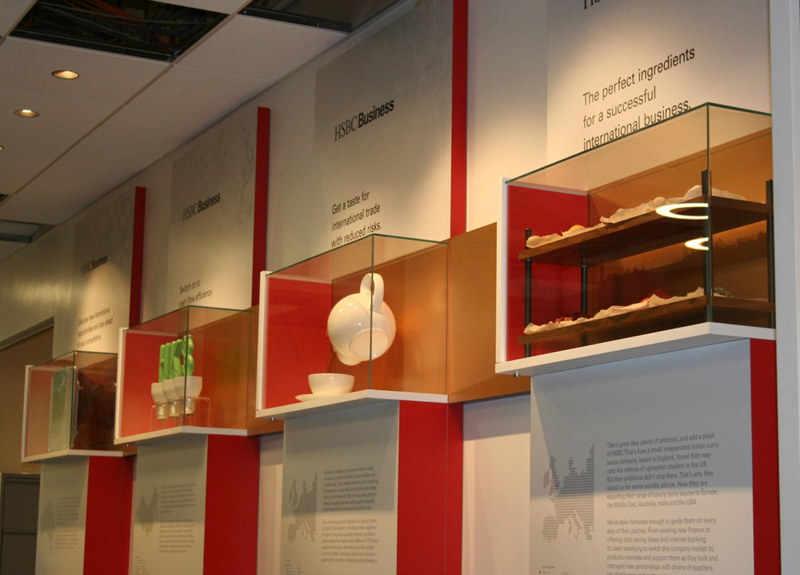 You can see the internal layout on our November 2013 Project Archive. 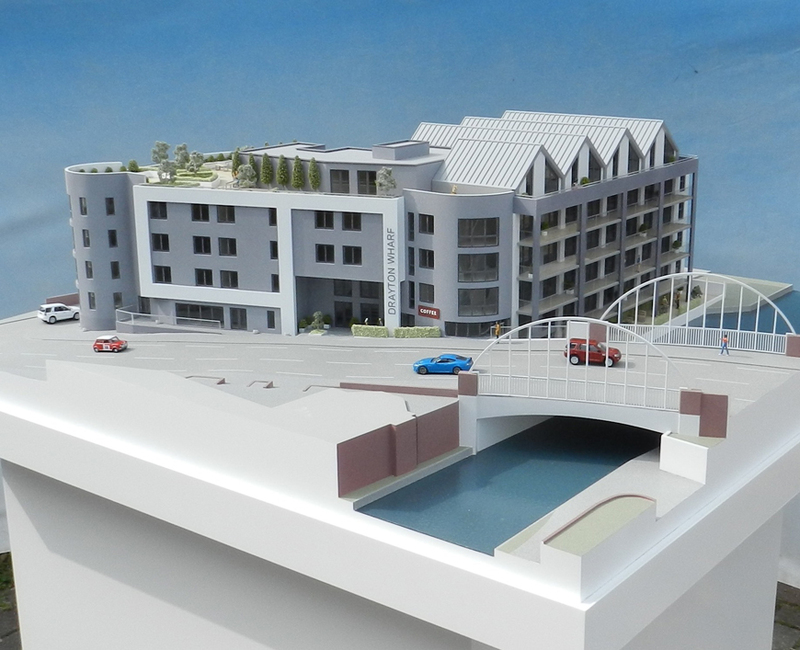 Canal-Side Apartments One of the important requirements for this model was to illustrate the extensively landscaped roof gardens which you can just make out in the photo. The client also wanted to show the multi-tiered stacking car park spaces at the rear of the buildings as the extra parking was a big selling feature. This model also incorporated LED lighting which you can see if you click on the “Illuminated” section above. 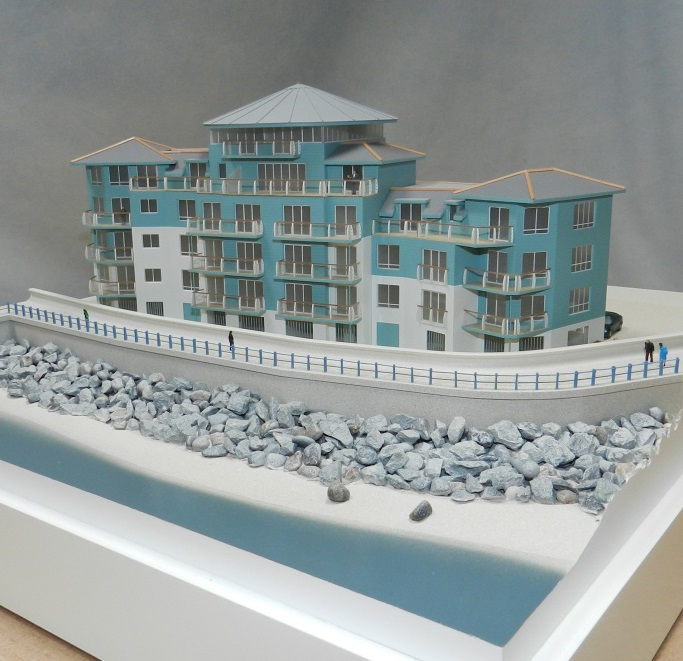 Sea-Side Apartments When space in a sales office is limited a compact but realistically detailed model can still be a really effective sales tool. 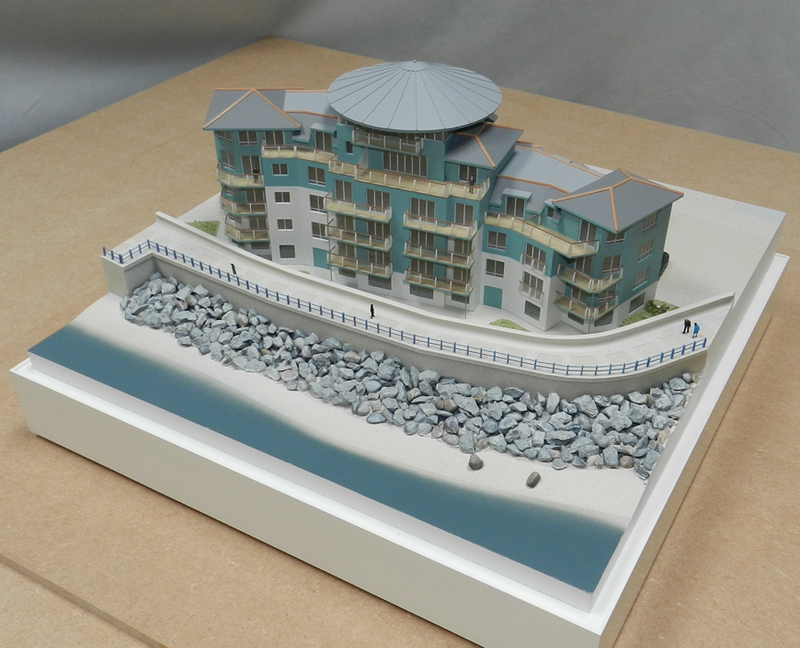 This model was less than 500mm square but we were still able to show the wooden handrails on the balcony balustrades. This sort of detail invites the viewer to inspect the model up close and visualize them-selves enjoying the sea view from the apartment balcony. 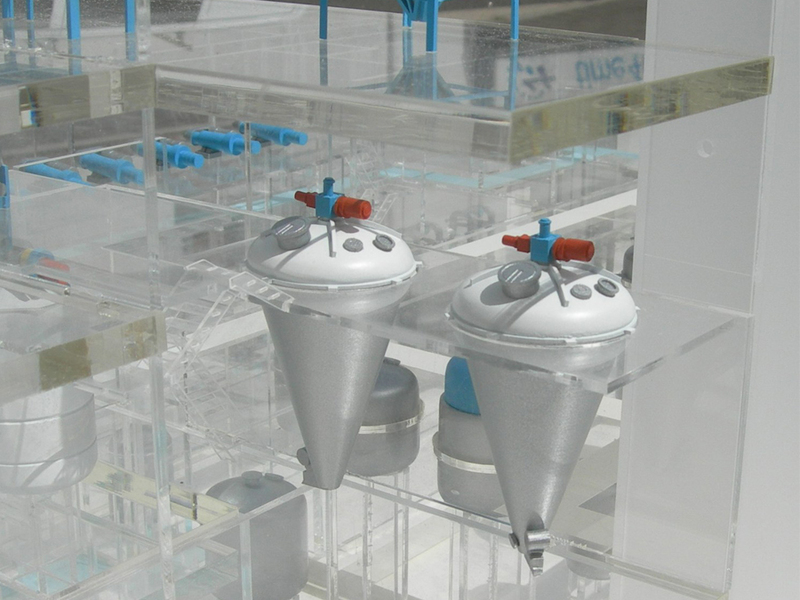 Pharmaceutics Factory Model GlaxoSmithKline needed a simplified representation of this facility to help illustrate the processes involved in Penicillin production. 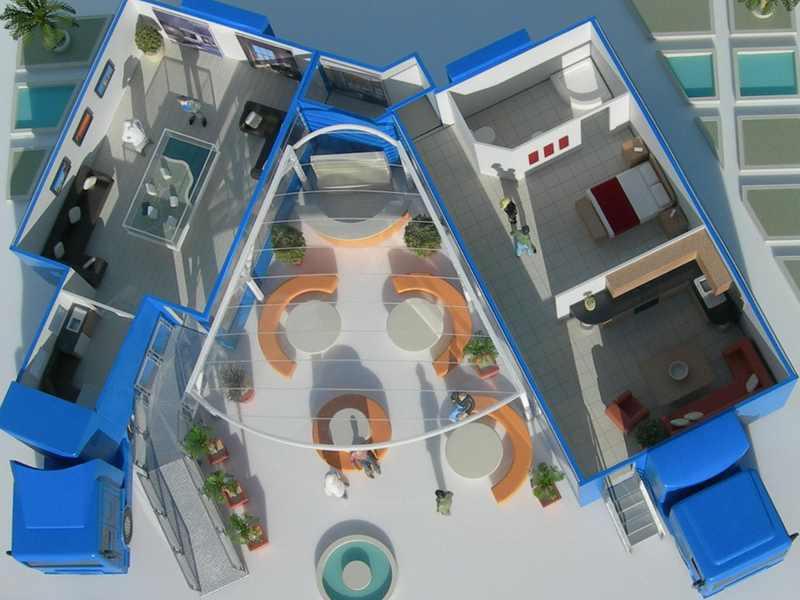 Our solution was this stylized 3D representation of the building with floor plates in clear acrylic, allowing the viewer to appreciate, at a glance, the vertical and horizontal layout of all the major industrial components involved in the process. Creating the model involved deciphering and rationalizing a huge volume of technical drawings so that we could design a pared down representation of the main production equipment. A crucial part of this process was keeping an ongoing dialogue with the client to make sure we were interpreting the information correctly. 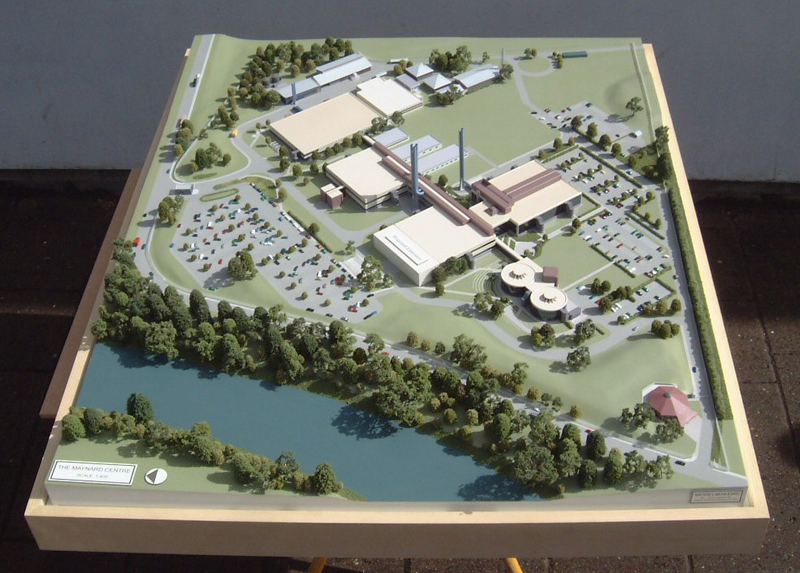 At just over 2.4 metres long, the model can be easily viewed by a group of people, making it an ideal starting point for a tour of the building. 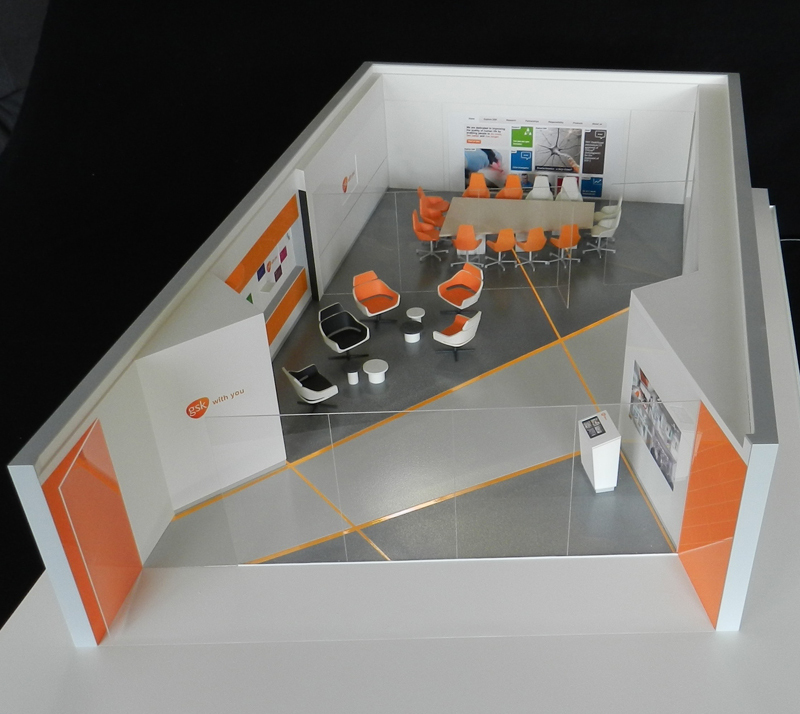 Mobile Exhibition Venue With the aim of marketing his mobile exhibition venues abroad, the client needed a compact model he could take on the plane rather than entrusting it to the baggage handlers of the world’s airports. This was our solution. 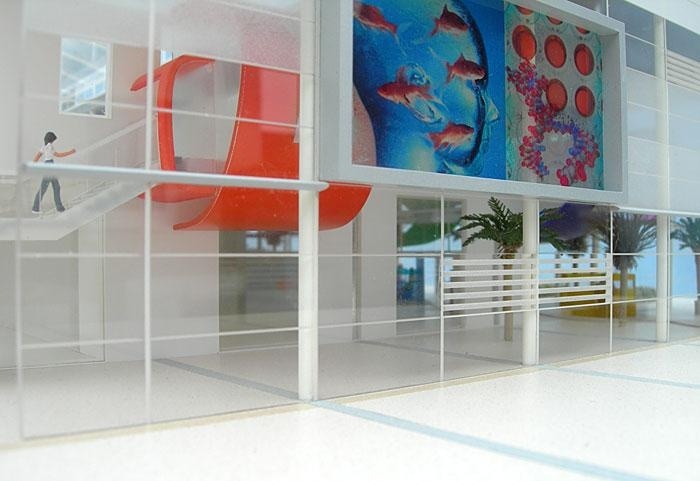 From an initial concept sketch, we designed and built the model in just 6 working days, incorporating removable roofs, interchangeable floor layouts and a Perspex cover. The whole thing measured just 350 x 290mm and fitted into a small padded suitcase that complied with on-flight hand luggage restrictions. 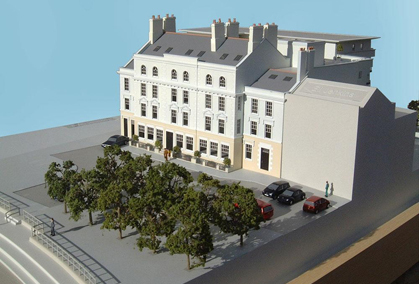 Georgian Style Refurb This model had to demonstrate the complex refurbishment and extension of a period building into high quality apartments for a national developer. 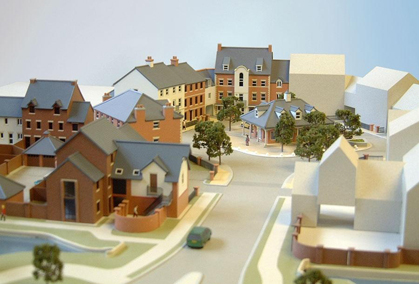 Village Centre An extremely detailed model that had to illustrate the variety and mix of traditional materials and finishes at the centre of a major new housing development in the North of England. 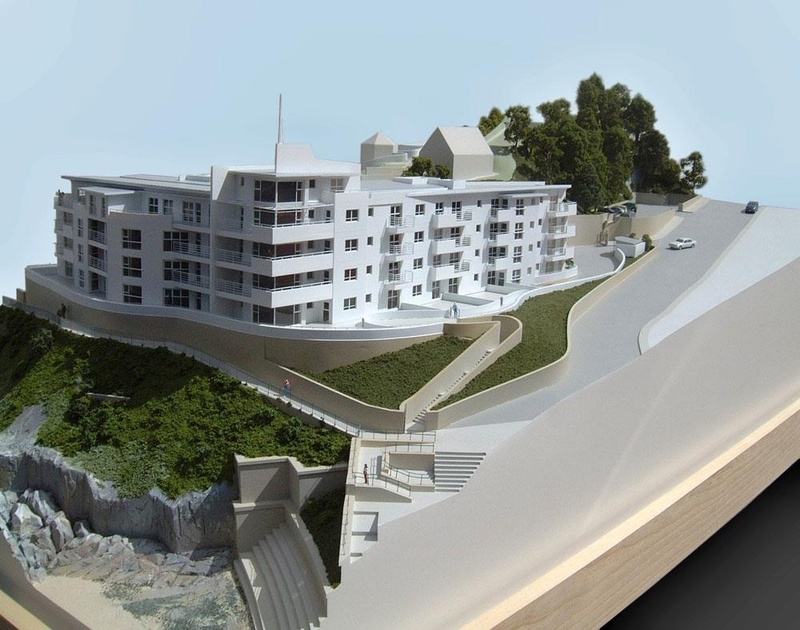 Cliff Top Apartments Produced for a sales event, this model helped the developers sell every unit in one frantic evening. The prime coastal location had to be accurately land formed to reflect the dramatic contours on site. White Cut-away Model An all white, part model built to illustrate the internal and external spatial arrangement for an extended café facility on a former industrial building. Low Rise Apartments With a sloping site, complex multi-levelled roofs and numerous balconies and setbacks, there was a lot of structural detail that needed to be shown in this model at 1:100 scale. 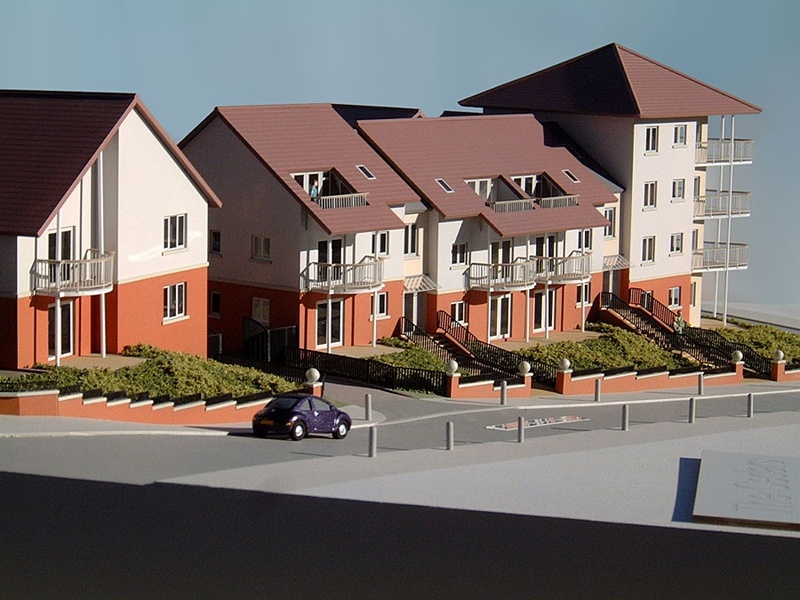 The client was very pleased that the model illustrated so clearly and instantly the different sections of the development.